Over 25,000 runners from all around the world are set to return for the second edition of the “Amazing Thailand Marathon Bangkok 2019 presented by Toyota”, which is scheduled for Sunday, February 3, 2019. 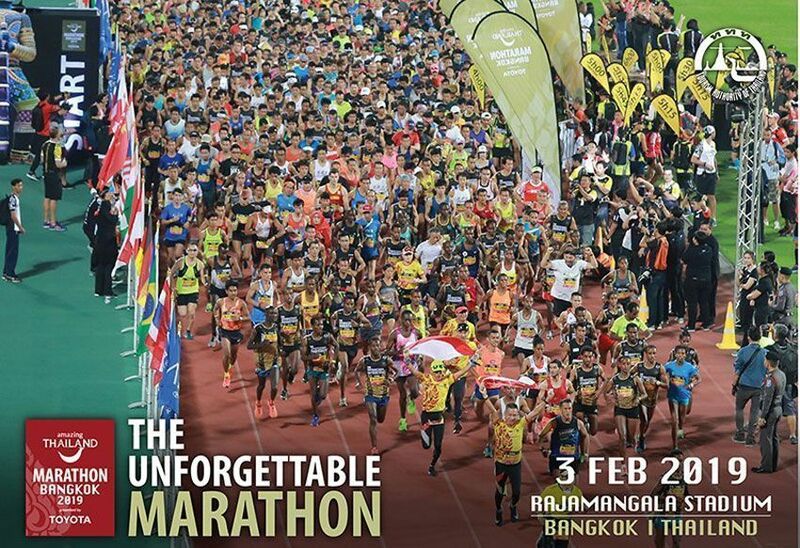 On Sunday, February 3, 2019 marathon runners will start their race from Rajamangala Stadium, while half-marathon and 10 km. participants, including the wheelchair racers, will begin their day near the Loha Prasat of Wat Ratchanatdaram. Family runners are to start in front of the Ministry of Agriculture and Cooperatives. The 2018 event is being organized under a five-year agreement between IRONMAN, the Tourism Authority of Thailand (TAT) and Thailand Tri-League. The event featured a unique city-centric course that took runners past some of Bangkok’s amazing landmarks such as the Victory Monument, King Rama V Monument, and Rama VIII Bridge before heading to the finish line at the Democracy Monument.